It all starts with the right beef. 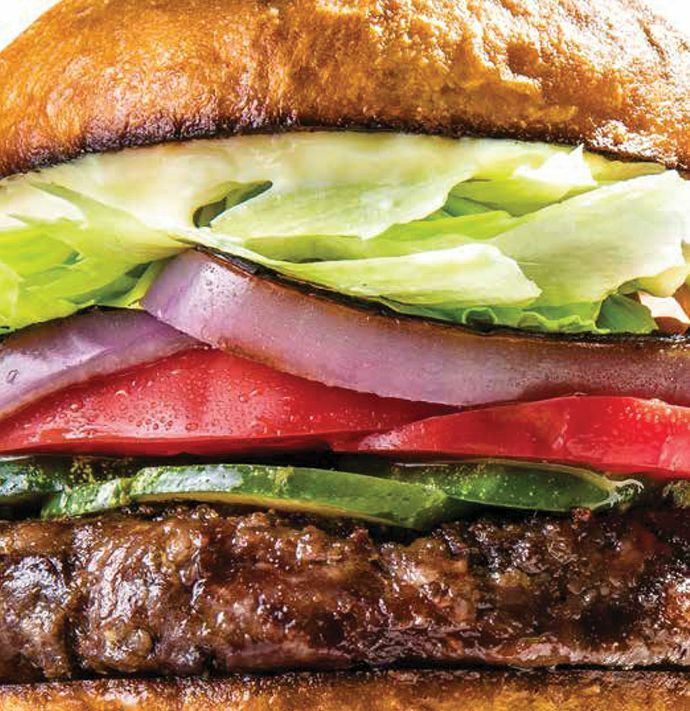 To make a true Kronnerburger, you need grass-fed dairy beef that’s been dry-aged at least 30 days and freshly ground before you cook the patty over a wood fire. You also need housemade dill pickles, housemade pain de mie buns, and roasted bone marrow. But let’s focus on main principles: If you can’t get dry-aged chuck, ask your butcher to grind fresh grass-fed chuck, 80 percent lean rather than the 70 percent I recommend with dry-aged. Salt the patties well. And because a true Kronnerburger is cooked rare and is thus done in just 3 minutes, it’s very important—“essential even”—to have the other ingredients ready for assembly. Cube the meat. Chill on a tray in the freezer until firm but not frozen, 10 to 15 minutes. Coarsely grind chilled meat. Divide into four 5-oz balls, then gently form patties 4 inches wide. Refrigerate until ready to cook. On a grill or piping-hot skillet, char onion slices on one side. Before you begin cooking burgers, get buns toasting: Heat a cast-iron skillet over medium-low heat. Smear butter on cut sides of buns and place butter side down in pan. Toast until golden brown, 6 to 8 minutes. While buns toast, cook patties. Season each with salt on both sides, using about ½ tsp per side. To grill: Cook patties over direct heat for 2 minutes, then flip and cook 1 minute, until cooked rare. To cook on a stove: Heat a skillet over high heat. Smear butter on one side of each patty and cook them, butter side down, 2 minutes. Flip and cook 1 minute. (If using unaged beef, add 1 to 2 minutes cooking time after the flip). Assemble burgers and serve.